Know Your Concerns and Goals: It is important that you express details about what you are wanting to change about your face. For example, are you more bothered by the size of your nose or its crooked profile. 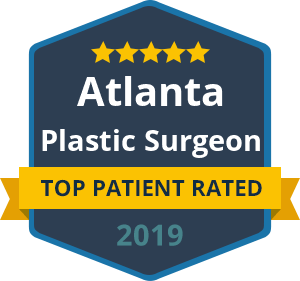 Being as specific as possible allows your cosmetic surgeon to get a better idea of what you want to accomplish during surgery. Do Your Research: Not only is it a good idea to research your plastic surgeon, but you may also want to gather information about the latest techniques or technology in your sought-after procedure. For example, you may want to ask your physician if he does brow lifts endoscopically or how his mini facelift incisions are made. Be Open: While you do want to be somewhat prepared as far as what your goals for surgery, you don’t have to have all the answers. In fact, a skilled plastic surgeon may recommend an entirely different procedure than you had in mind. This could be a female patient who thinks she wants a nose job to reduce the size of her nose, but in actuality, a lip augmentation could bring the two features into better proportion and make her nose look more attractive. Be open to what your plastic surgeon suggests. Bring Pictures: With today’s expansive options on the Internet, it is easy to find an image of what you’d like to look like, whether it is ideal lips, a youthful set of eyes or defined jaw line. An actual image can be one of the best ways to express your goals at your consultation. Ask Questions: Last but certainly not least, don’t shy away from asking questions. Plastic surgery is a major decision. It is perfectly okay to ask detailed questions, whether it is about your incisions, scarring, recovery time, financing, etc. You should feel comfortable and confident in your plastic surgery when the procedure day comes. At Beverly Hills Laser & Facial Plastic Surgery, we value the time we have with our patients during their initial consultation. We take this as an opportunity to build a trusted relationship with them and make them feel comfortable at our office. Above all, we never pressure patients into getting a certain procedure or doing something more invasive than they are comfortable with. We have a full menu of cosmetic procedures, including simple non-surgical services as well as complex cosmetic surgery or reconstruction.